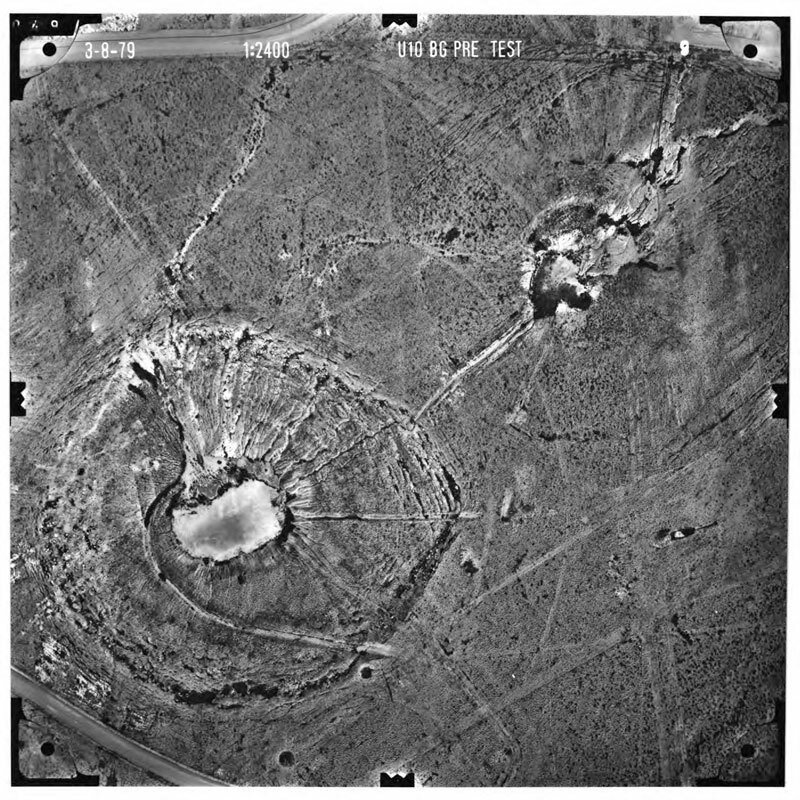 Aerial photographs acquired from the USGS, the Freedom of Information Act. 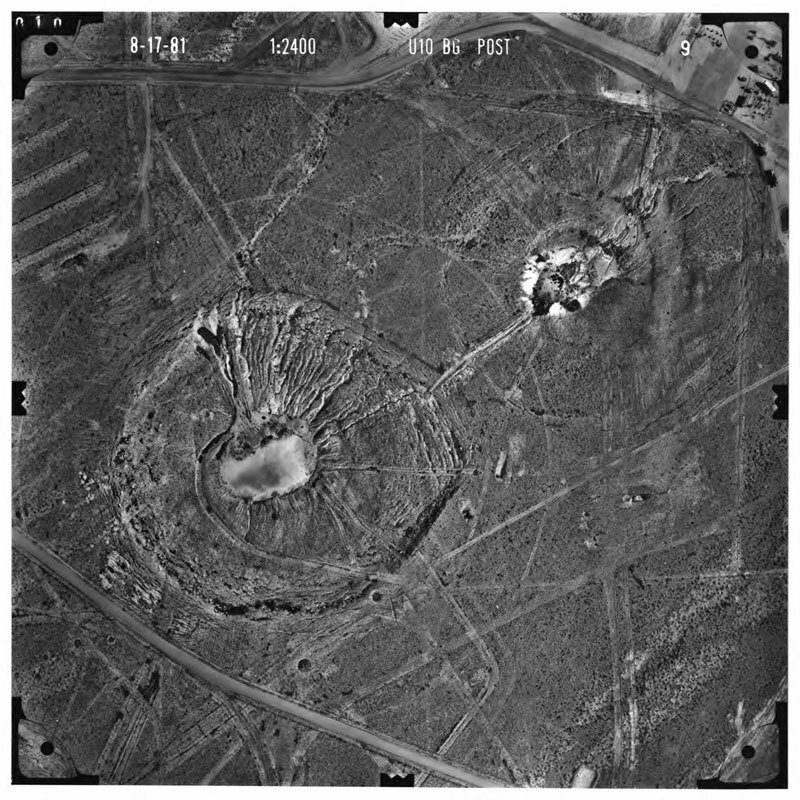 In June 2011, I discovered that the United States Geological Survey (USGS) Mercury Core Library and Data Center in Henderson, NV stores ‘pre’ and ‘post’ detonation photographs of many nuclear tests conducted at the Nevada Test Site. 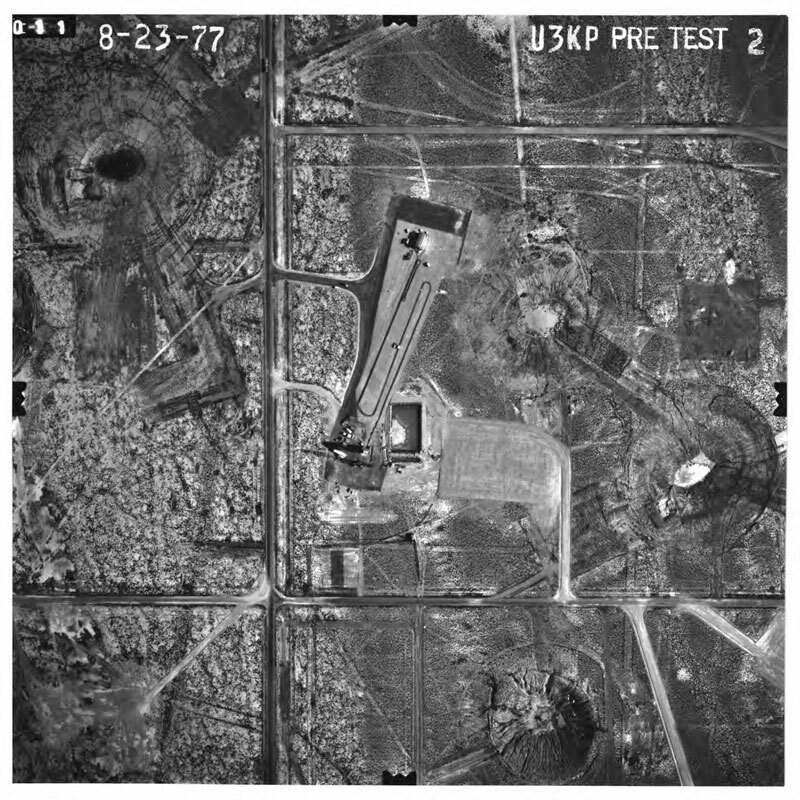 I immediately inquired if I could have access to the photos of Yucca Flat for my project. After encountering resistance to my inquiry, I filed a Freedom of Information Act Request with the National Nuclear Security Administration (in March 2012), and I am happy to say that it is finally successful. 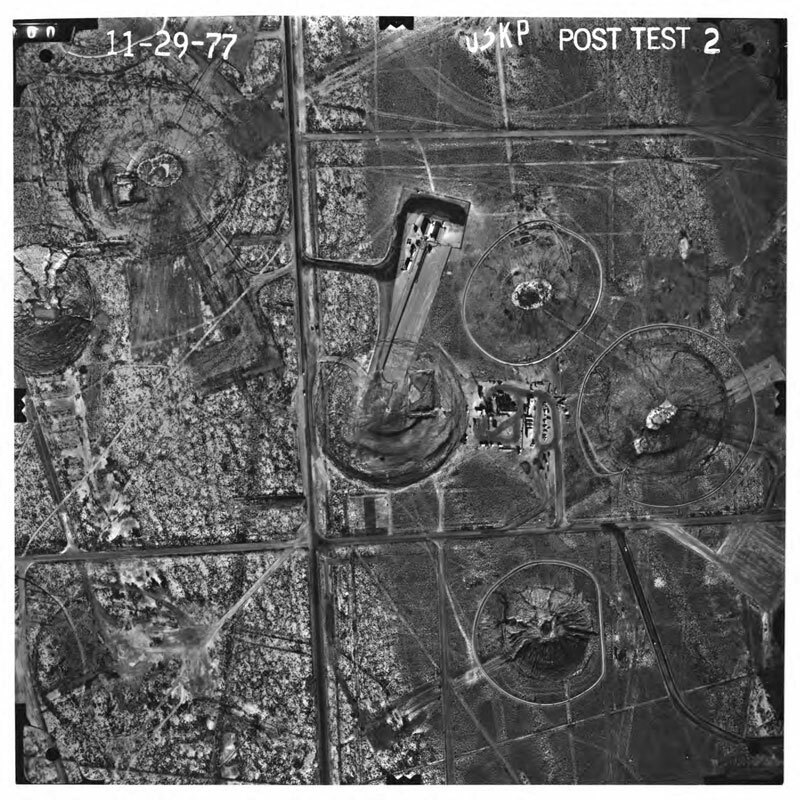 I received all the images in the mail recently: several dozens of black-and-white aerial shots that were scanned and burned to nine discs for me. I want to thank all the people at the USGS and at the NNSA Office of Public Affairs who worked to fulfill my request. Research at the National Archives, ‘Pathway to Peace’ exhibit and presentation. Expressive scans of drawings.